This beautiful and functional Maya Hand Woven Ipad Case is crafted using the signature brocade weaving of weavers in located in Todos Santos Cuchumatanes, Huehuetenango. This beautiful and functional Maya Hand Woven Ipad Case is crafted using the signature brocade weaving of weavers in located in Todos Santos Cuchumatanes, Huehuetenango. The Ipad Case fabric is hand-made using a back strap loom and is adorned with weaving designs that are combined with multi-color patterns and traditional Mayan motifs. The Ipad case is made of a combination of cotton and acrylic thread. The Mayan hand woven Ipad case was created by Francisco Matias, our long-time friend of more than thirty years. Francisco Matias is originally from Todos Santos Cuchumatanes but he currently lives and works in his shop on Avenida Santander in Panajachel, Guatemala and continues to provide a variety of high quality products to Maya Color. The Ipad case is 11.5 inches wide x 9.5 inches tall x ¾ inch depth with a quarter inch of inner sponge – lining on both sides for added protection. 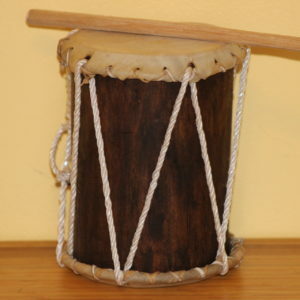 It has a sturdy strap 46 inches long and .25 inch wide. The Ipad case also has a 9 inch zipper on the back that easily fits a small writing pad, business cards or other papers. 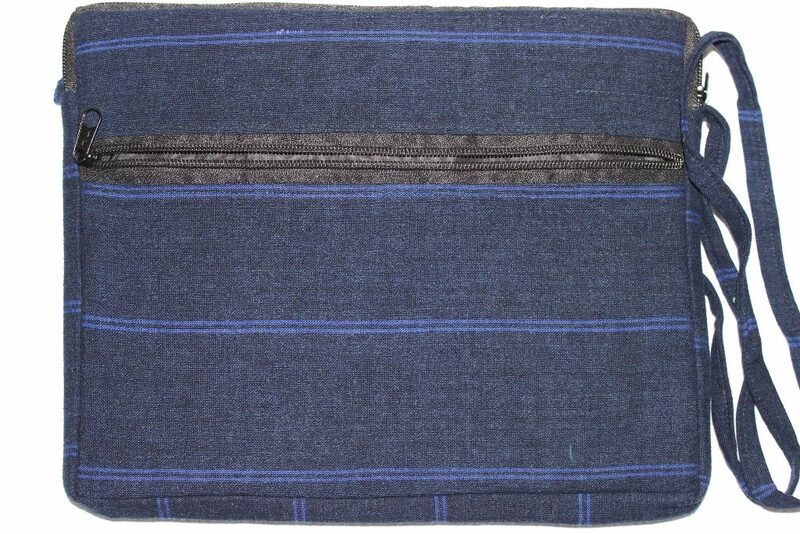 Although lightweight, the Maya Hand Woven Ipad Case is sturdy due to its high-quality sewing. Various tablets and styles fit comfortably in the Maya Hand Woven Ipad Case. The front side of each Ipad case is made of beautiful Todos Santos woven fabric, traditionally woven for women´s blouses or men’s shirts adorned with the beautiful signature brocade weaving of Todos Santos. The back side is covered with a traditional indigo fabric with an 9 inch zipper for storing small items, including documents. Every case is finished to Francisco’s high standards including internal bound seams. This Ipad case is perfect for the 9.7-inch iPad Pro iPad Air 2, Samsung Galaxy 10, Motorola Xoom and any smaller sizes. Below is and image of the back of the Ipad Case. $15.00 Add to cartAdded to cart!